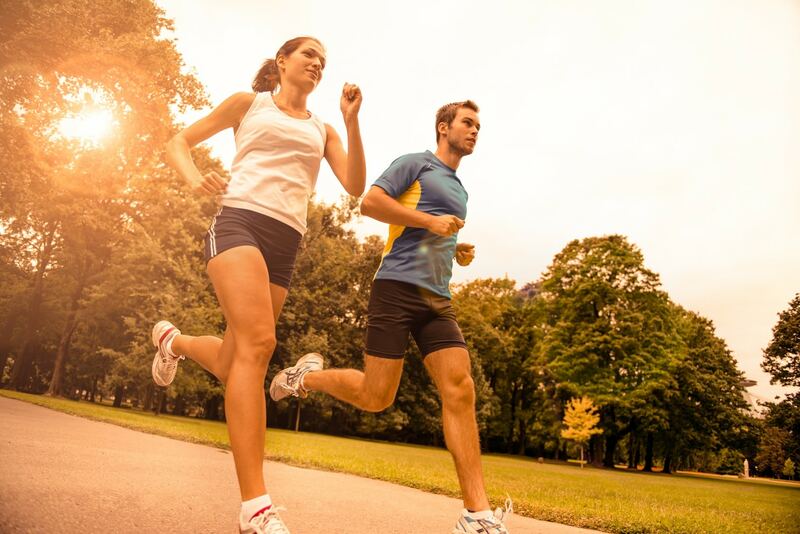 Running is one of the most popular and common ways to getting in shape and losing weight. In fact, chances you are a runner yourself (or thinking of becoming one) since you just ended up on my blog, reading this post about running. But its benefits go beyond the scale. In fact, running has the power to prevent a plethora of diseases and just might the best medicine. Well, I’m not saying that because I love running, nor is it because I devoted this whole blog and a significant portion of my life to it. But it’s because science is on my side. Research has shown that regular running can help prevent cardiovascular disease, stroke, mental decline, some cancers, type 2 diabetes and a myriad of other health problems. Therefore, today I decided to share with you some of the current scientific proven benefits of running. This is the main reason I took up running, and still one of the most common reasons people start running in the first place. Running will help lose the extra pounds and maintain a healthy weight. In fact, for a 200-pound person running can burn more than 900 calories in an hour. That’s huge. What’s more? Research has also shown that running increases the “after burn”, or what’s known as EPOC, standing for excess post oxygen consumption, which is the number of calories you burn after a workout. Running is also a far superior form of cardio exercise when it comes to weight loss. 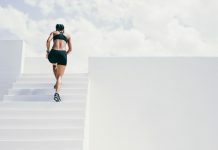 According to research from the Medical College of Wisconsin, people who run at a hard exertion level burned off roughly 800 calories per hour—more calories than when opting for the stationary bike, the stair climber, or the rowing machine. But here is the little caveat. As you already know, weight loss is a numbers’ game—meaning you will only lose weight if you burn more calories than you take in. Therefore, to lose weight while running, you need to back your exercise regime with the right diet; otherwise, your results will be limited. Study suggests that regular exercise is an efficient form of treatment for mild-to-moderate cases of depression and anxiety. 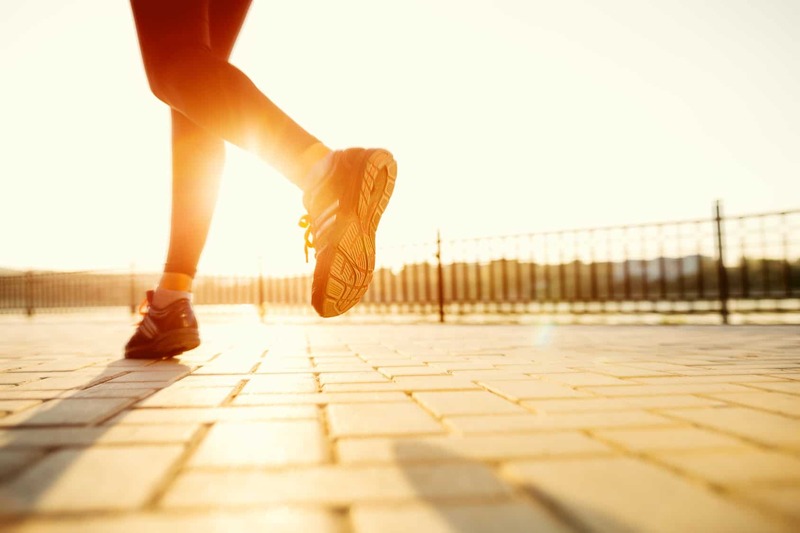 According to research, exercise—and running in particular—can help you relieve anxiety, stress, and depression, reinvigorating you from the inside out. Well, according to the current scientific belief, running (and other forms of exercise) stimulates the release of good-feel brain chemicals known as endorphins, causing what’s commonly known as “runner’s high,” while reducing the release of the chemicals that exacerbate depression. Another study published in Medicine and Science in Sports & Exercise, exercise can help people cope with stress and anxiety after completing a workout session. Therefore, if you are suffering from depression, anxiety or other emotional/mental issues, then you might need to take up running instead of relying exclusively on the pills. As you already know, stress is blamed for all sorts of health issues, such as obesity, depression, cardiovascular disease, cancer and so on. Hence, anything you can do to tame the beast of stress is surely welcomed. Good news is that running might just be what the doctor ordered. In fact, if you are looking to curb anxiety and reduce stress, then exercising for at least an hour is roughly three times better than sticking to the couch, according to research from the University of Georgia. While running, your body releases mood-boosting and good-feel hormones, such as endorphins, and you increase your heart rate, which reverses damage to the brain caused by stressful experiences, according to research. 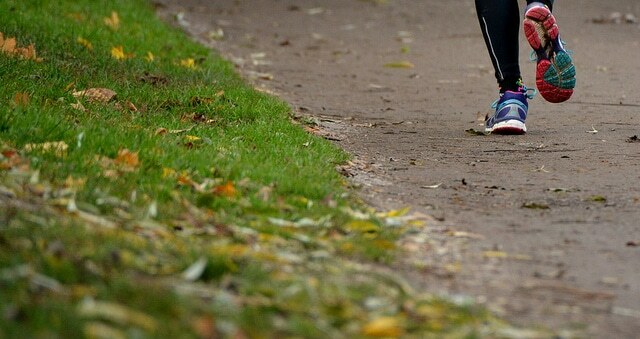 Furthermore, running can also slash your risks of developing tension headaches and migraines, according to a study. Not only that, running will also give you the opportunity to get outside, breathe clean air, clear your mind, and feel much better about yourself. So instead of sitting on the couch and staring aimlessly at your laptop, try taking up running. Of course, running is a cardiovascular exercise per excellence, but according to science, running also strengthens the bones and the joints—especially the knees. First of all, running boosts the amount of oxygenated blood that makes its way to your joints, thereby increasing oxygen delivery and toxins removal. Furthermore, running also strengthens the ligaments surrounding the joints in ways that lower-impact exercise routines ignore, which can help you prevent joint pain. And if you still believe in the myth of “running is bad for the knees,” then you really need to drop it and realize that current research found no link between running and arthritis. The fact is, running might even help protect you from joint problems later on in your life, according to a famous long-term study conducted the Stanford University and published in the Archives of Internal Medicine in 2008. Still, if you want to err on the right side when it comes to running and knee problems and/or pain, then you need to run in the right footwear, develop proper running technique, progress gradually and remember to listen to your body the entire time—essential elements of injury free running. Running also might help guard you against Alzheimer and other brain related troubles. According to a study published in Psychonomic Bulletin & Review, there is irrefutable evidence showing that consistent aerobic exercise helps beat age-related mental decline, especially when it comes to vital functions such as task switching, problem-solving and working memory. In fact, according to a study published in Perceptual and Motor Skills, subjects performed 20 percent better on standard memory tests after completing a short treadmill session than they did before working out. Plus, their ability to solve complex problems also increased by 20 percent. What’s more? Well, research has also shown that running promotes neurogenesis, the process of the growth of fresh nerve cells. Don’t get me wrong. I didn’t say that running cures cancer, but according to plenty of research, hitting the pavement on a regular basis might help prevent this notorious killer. In fact, a review of more than 170 epidemiological studies has linked regular exercise to a lower risk of certain cancer, according to the Journal of Nutrition. According to study, even the simple activity of walking, at least, seven hours per week can help women reduce the likelihood of breast cancer by up to 14 percent than their more sedentary counterparts. And for those who opted out for more vigorous exercise, mainly running or swimming, for about six hours a week, were able to reduce their risk by roughly 25 percent. So it’s really a game changer when it comes to cancer. Having sleep problems? Running might help. According to research, running promotes higher quality sleep. In fact, those who run on a consistent basis in the morning showed a betterment in objective sleep, according to a study published in the Journal of Adolescent Health. Furthermore, research concluded that people with sleeping problems were able to improve the quality of their sleep after starting a regular exercise program, according to a study conducted at the Stanford University School of Medicine. Another study published in the journal Mental Health and Physical Activity found that people reported sleeping better and feeling more energized during the day if they get at least 160 minutes of moderate to vigorous exercise during the week. So if you are the insomniac type, then the cure might lay with your running shoes, and probably not with a prescription pill. As you might already know, cardiovascular disease is one of the leading causes of sudden death in the US. The good news is taking up running is, hands down, one of the best things you can do protect you against heart diseases and reduce the risk of mortality. According to a study published in the Journal of American College of Cardiology, regular runners have a 45 percent lower risk of death from cardiovascular diseases, and running for no more than five minutes every day can slash the risk of cardiovascular disease by nearly a half. How? There a plenty of ways that running helps cut the risk of sudden death, including boosting HDL (or what’s known as the good cholesterol) levels, increasing lung function, reducing blood pressure and enhancing blood sugar sensitivity, along with a host other cardiovascular benefits. In the longevity circles, running has always been touted as one of the best ways for elongating lifespan and living a healthier and more active life in the later years. And there is an abundance of studies to support these claims. 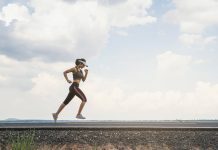 In fact, according to a long-term study conducted by the Stanford University School of Medicine, researchers examined the impact of running on health and found that after two decades of research, regular runners had a significantly lower mortality rate compared to non-runners with about 80 percent of runners still alive, while only 65 percent of non-runners were, after the conclusion of the study. According to research, runners are regularly found to enjoy and experience a longer lifespan and are found to live on average three years longer than their non-runners counterparts. So if you are serious about adding years, quality years, to your life, then you should take up running. As you already see, running has a lot to offer. But that’s not the whole story. To add more icing on the cake, study after study has shown that you don’t to become an ultra distance runner and be running +100 miles per week to reap the physical and health benefits of the sport. The fact is, hitting the pavement for no more than 50 minutes per week—the equivalent of two 5K training sessions or a 6-mile distance run—is enough to protect your body from risks of arthritis, high cholesterol, diabetes, and some cancers, leading to an improvement in a runner’s longevity by three to six years, according to a meta-analysis published in the Mayo Clinic Proceedings. In other words, it will only take a little bit of running per week to reap the optimal health benefits of the sport.